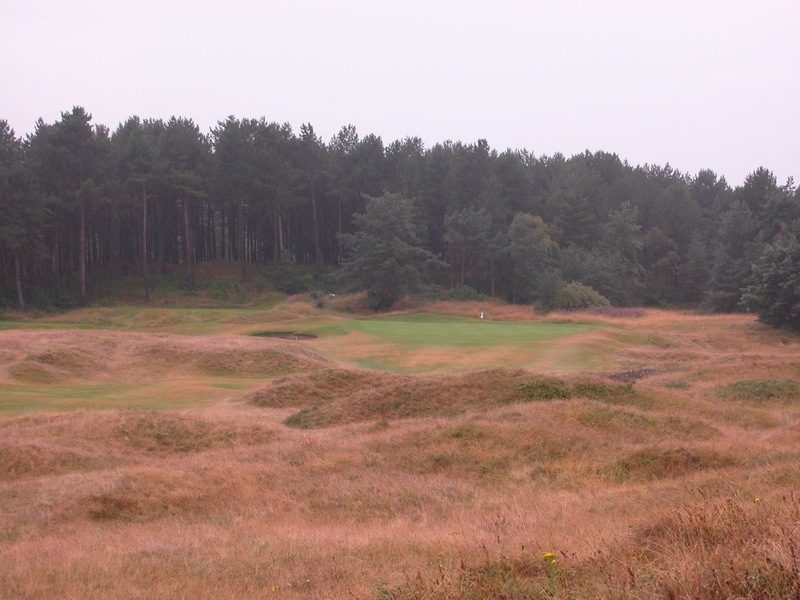 “A Links Among the Pines”—such is an apt description of the Formby Golf Club in Formby England, a Walker Cup, Curtis Cup, and British Amateur Championship venue and a course unique in the world of golf in that Formby Golf Club combines linksland with a bit of pine forest, with the pines growing from the bouncy, sandy links turf. 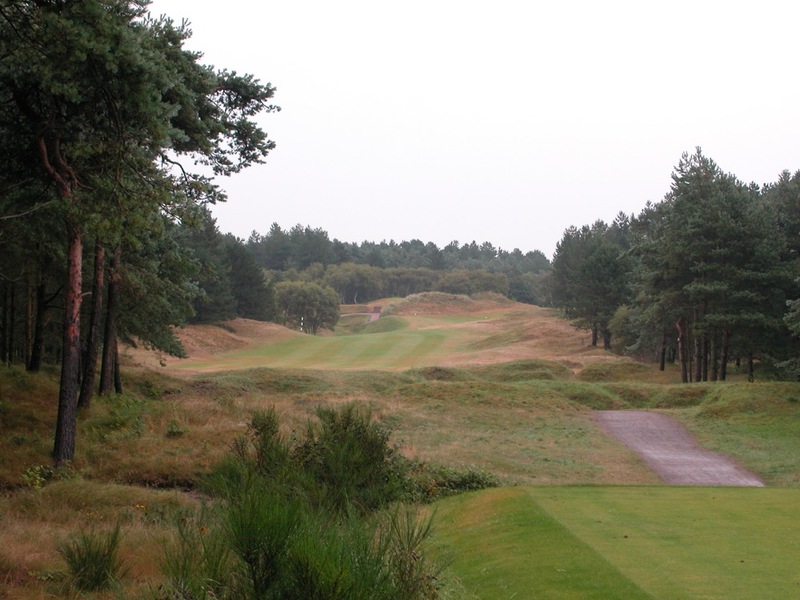 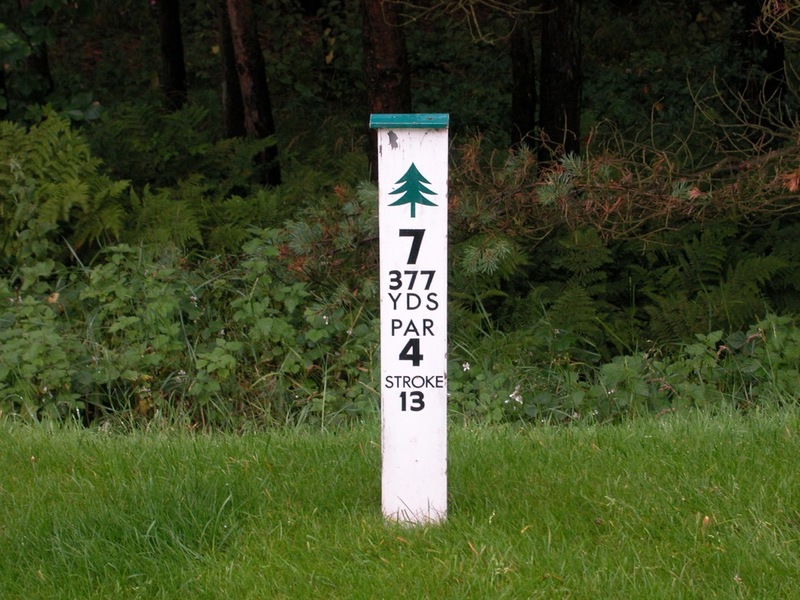 The front nine at Formby Golf Club in England works its way out into the pines, and the highlight is the par-4 7th hole, with huge trees lining both sides of the fairway, doglegging uphill and to the right. 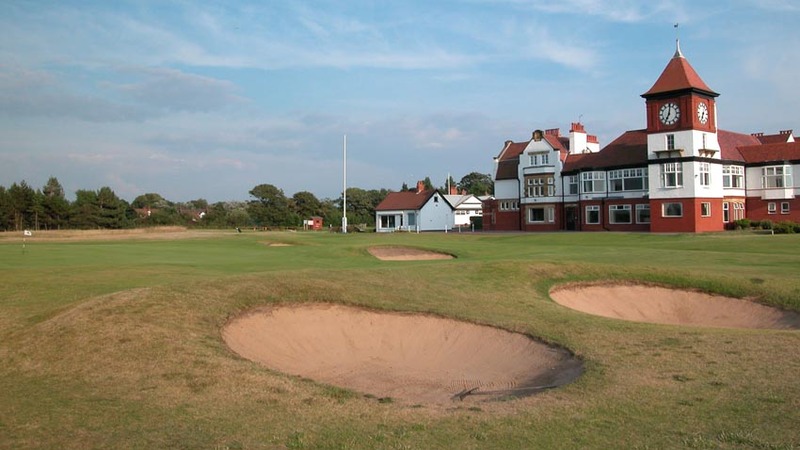 From there Formby Golf Club briefly touches the sea, and then heads back to the impressive clubhouse, one of our favorites in England. 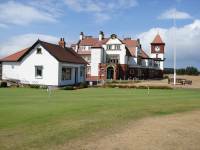 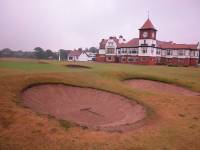 In fact, the upstairs houses an atmospheric dormy house, a perfect place to stay and enjoy the bar, Snooker room, and dining room, while playing multiple rounds on the links. 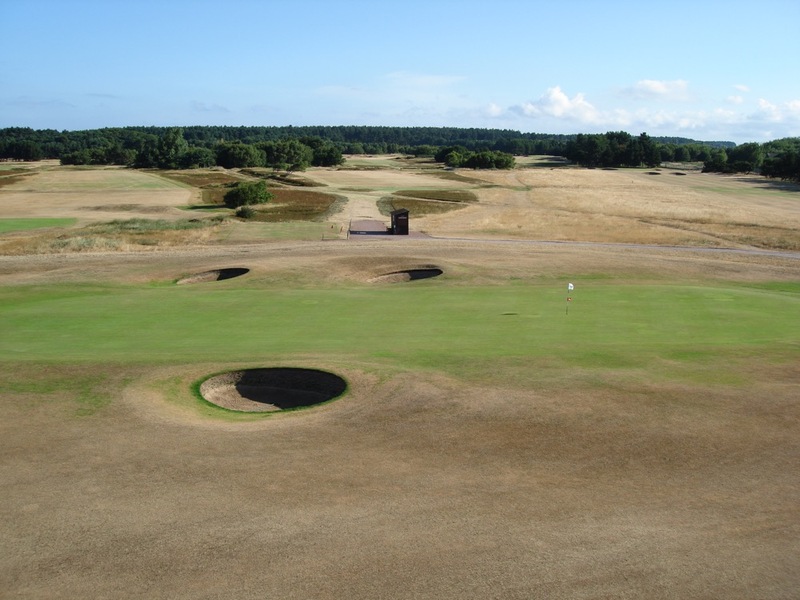 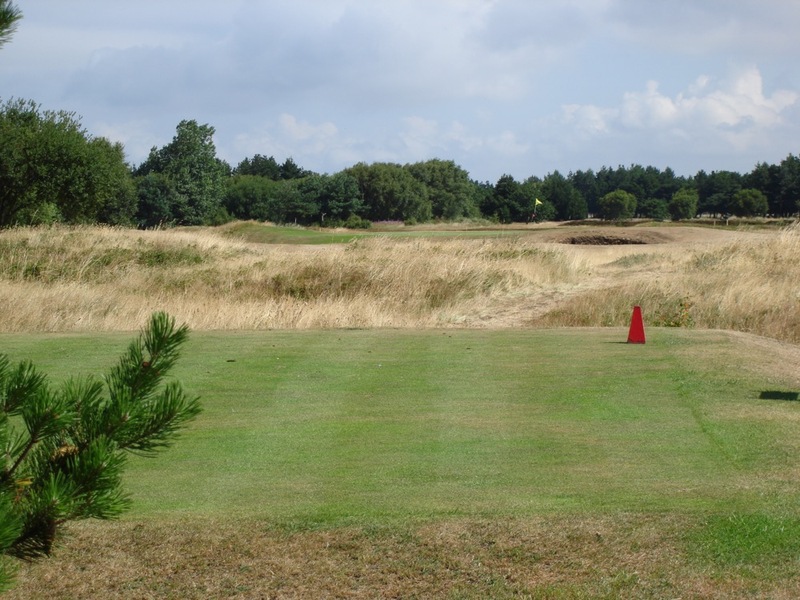 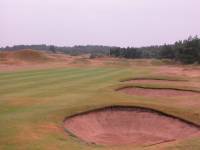 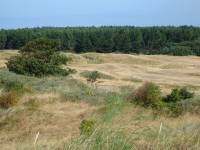 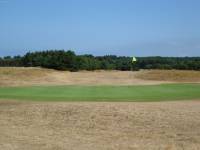 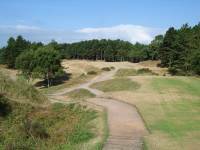 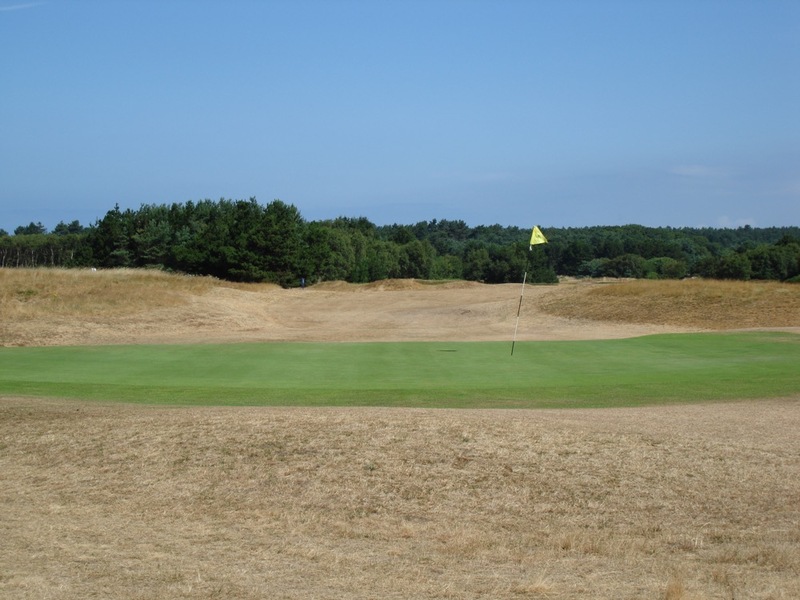 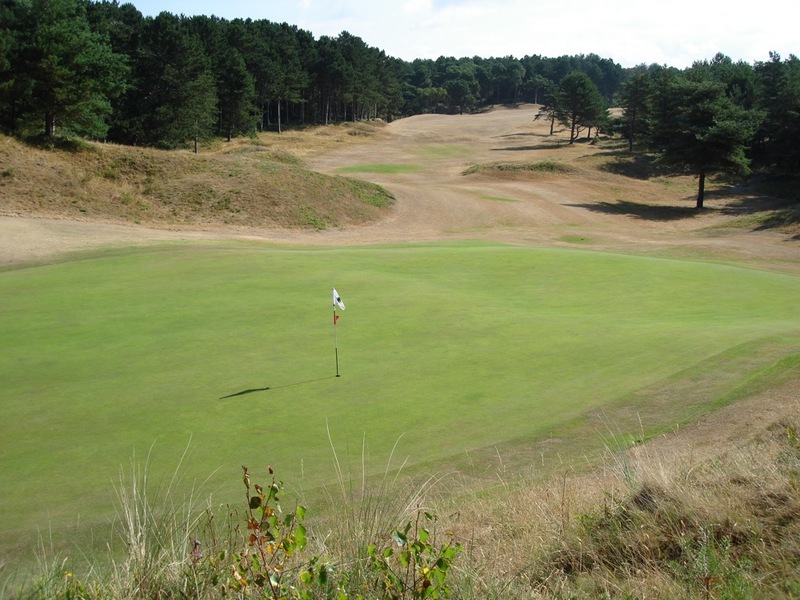 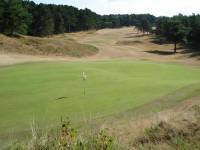 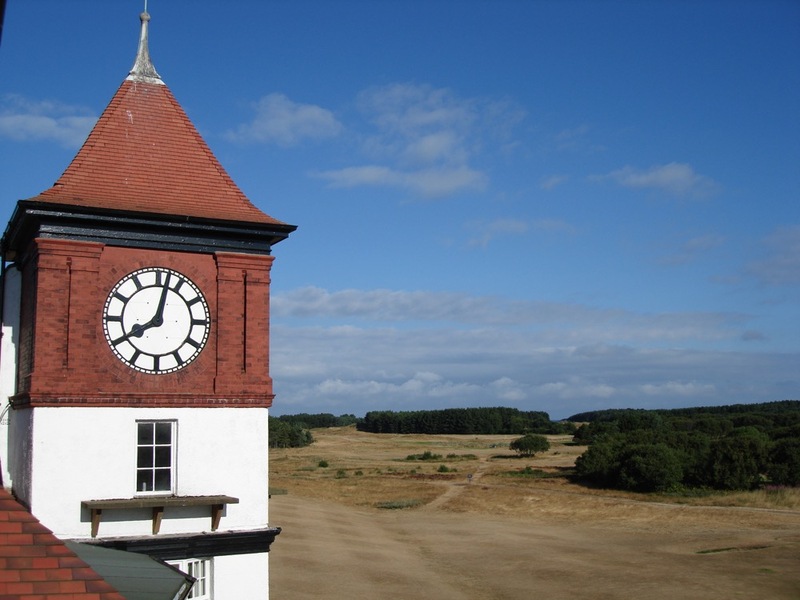 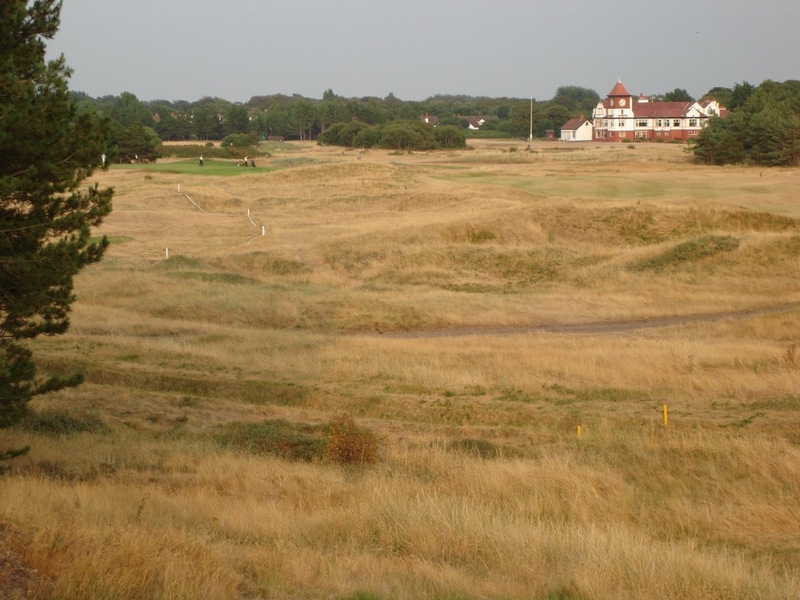 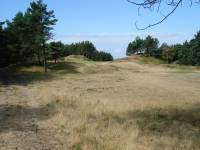 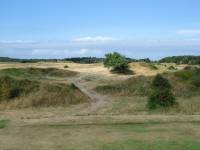 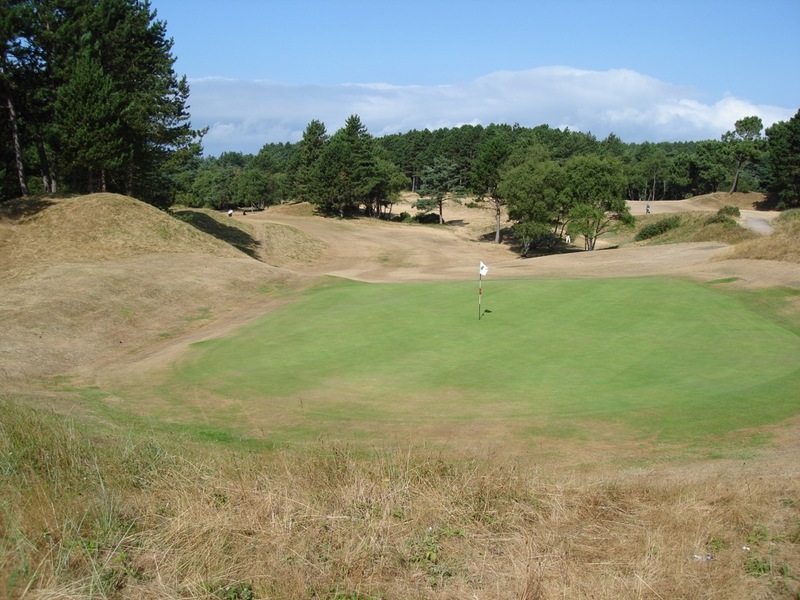 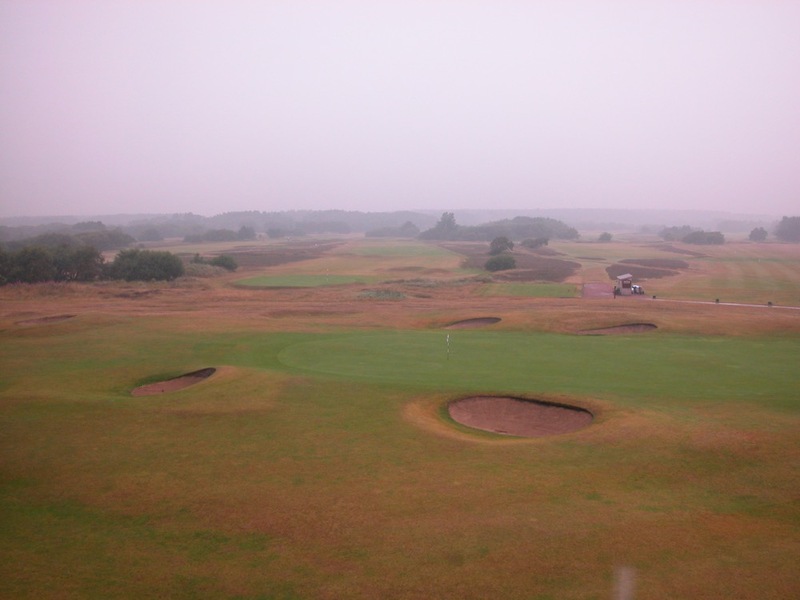 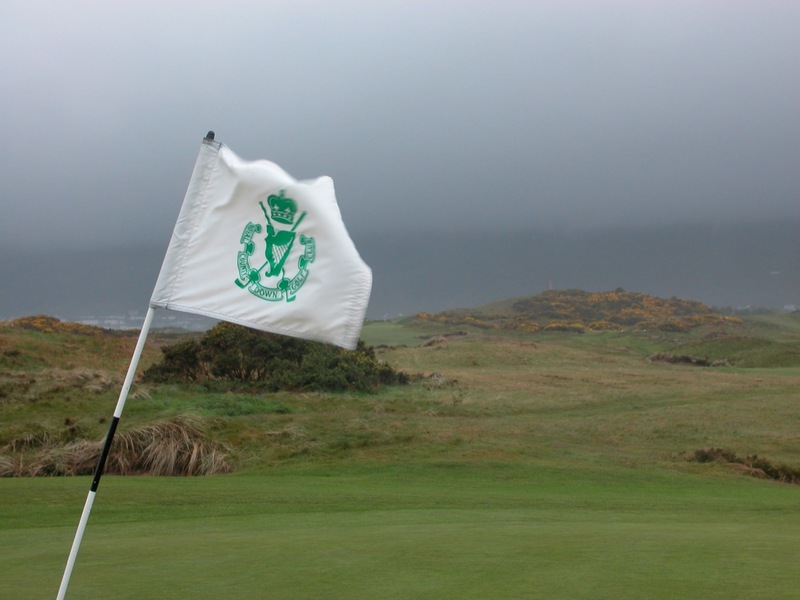 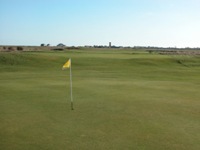 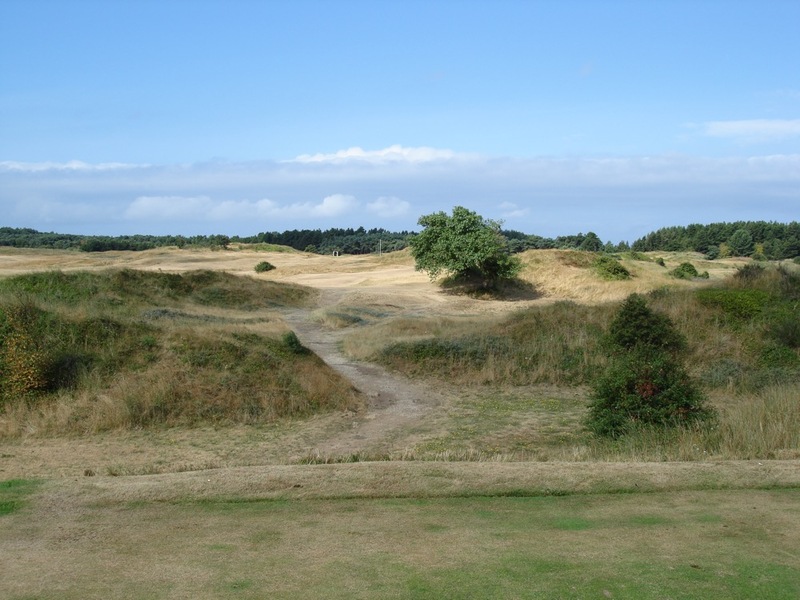 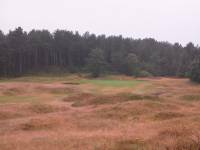 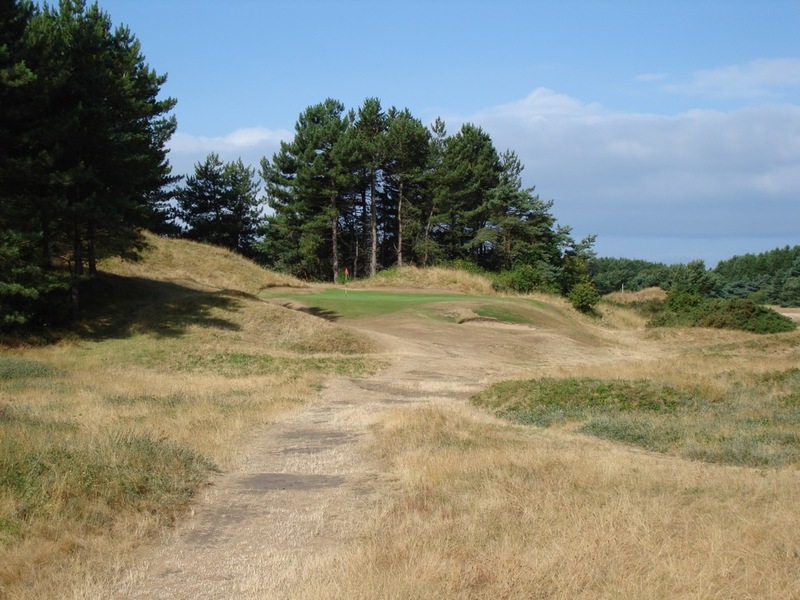 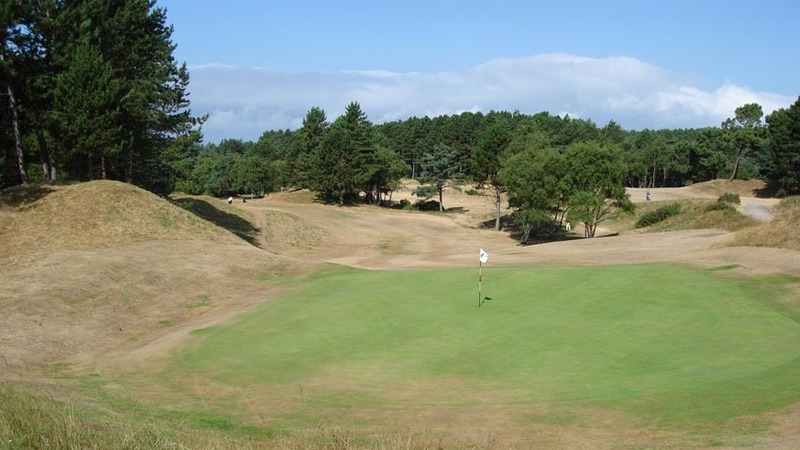 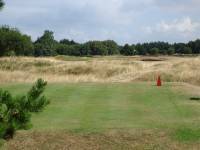 The links at Formby Golf Club actually houses two distinctly separate courses and clubs. 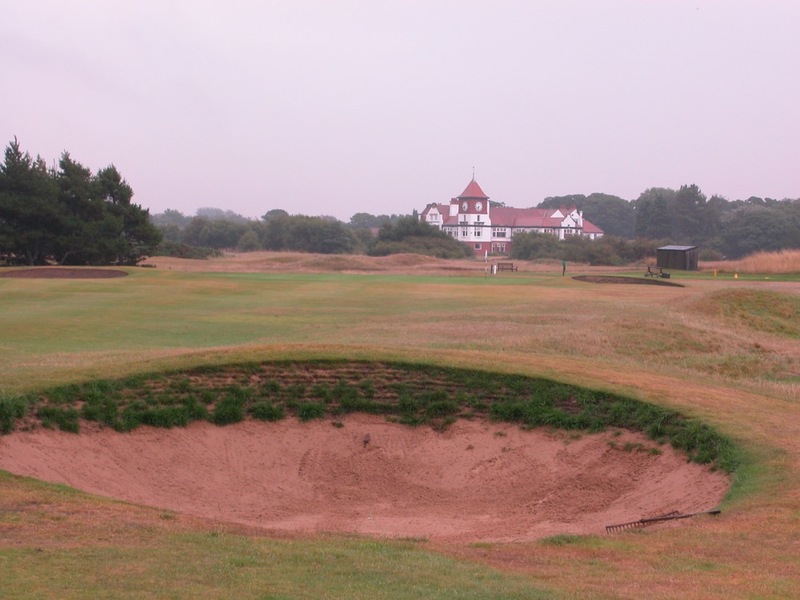 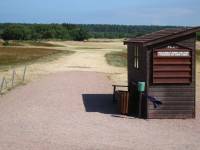 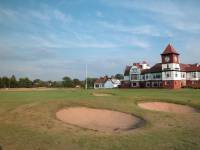 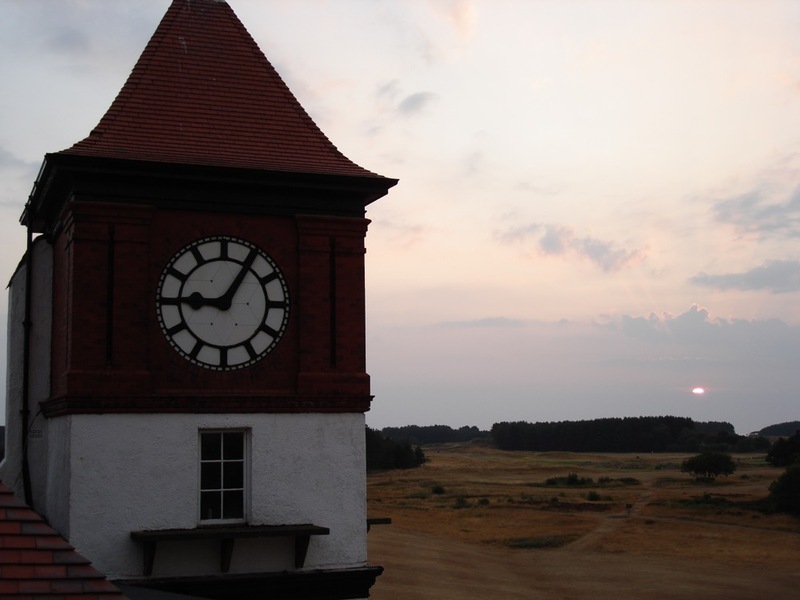 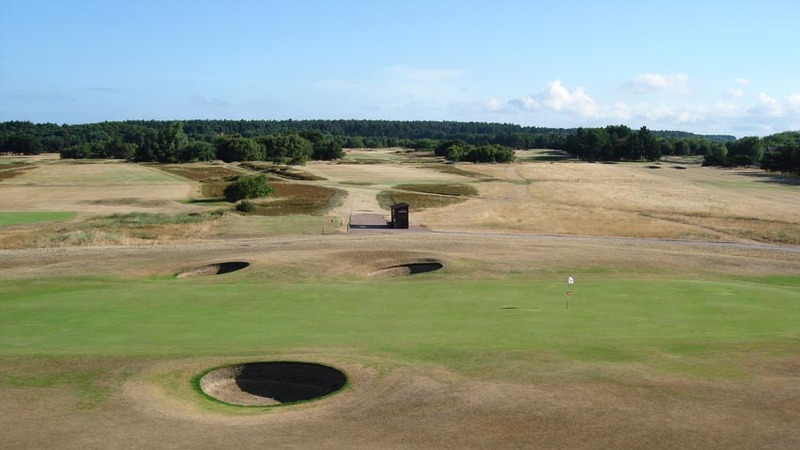 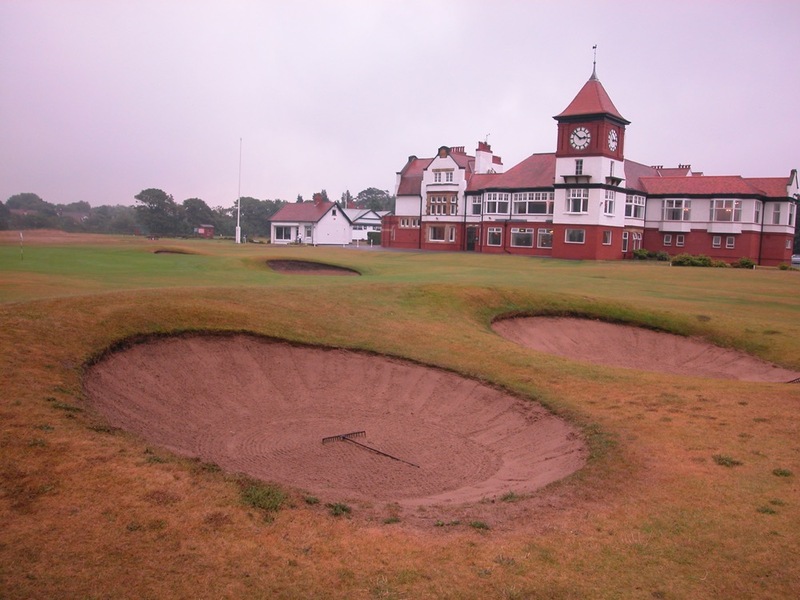 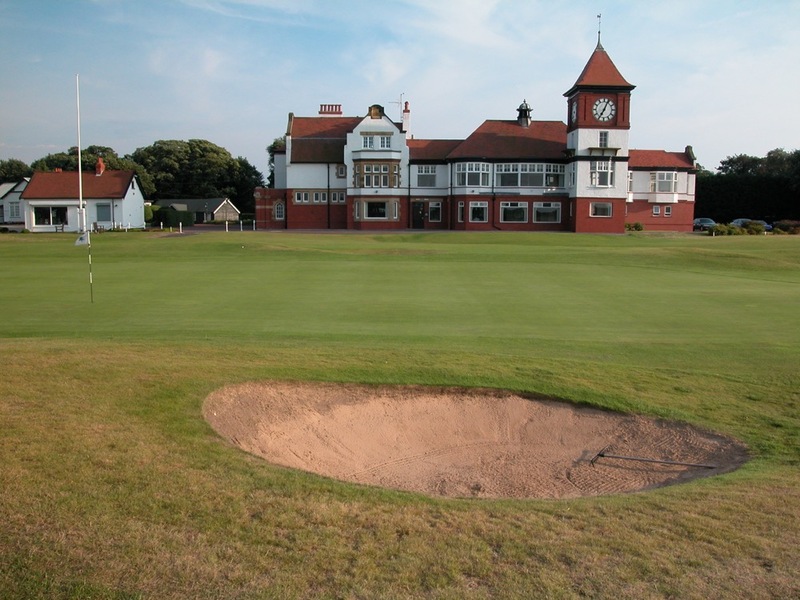 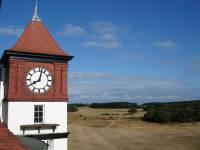 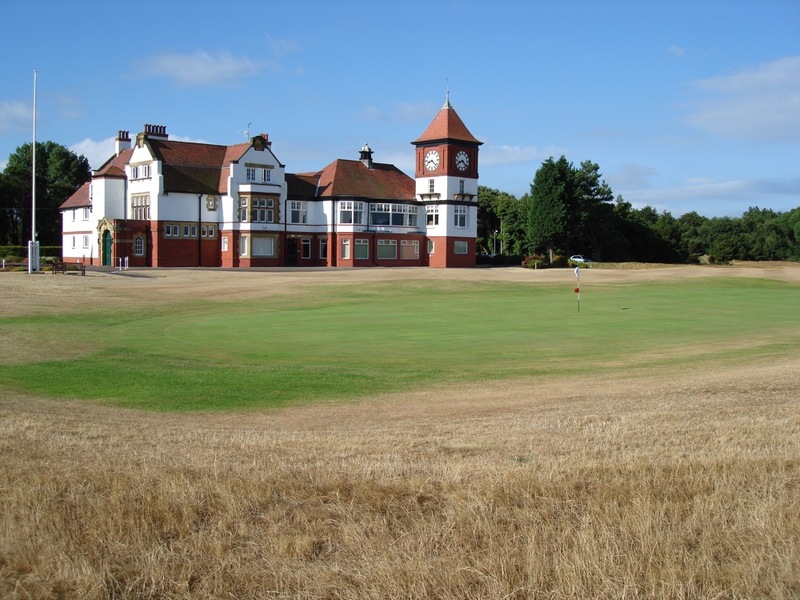 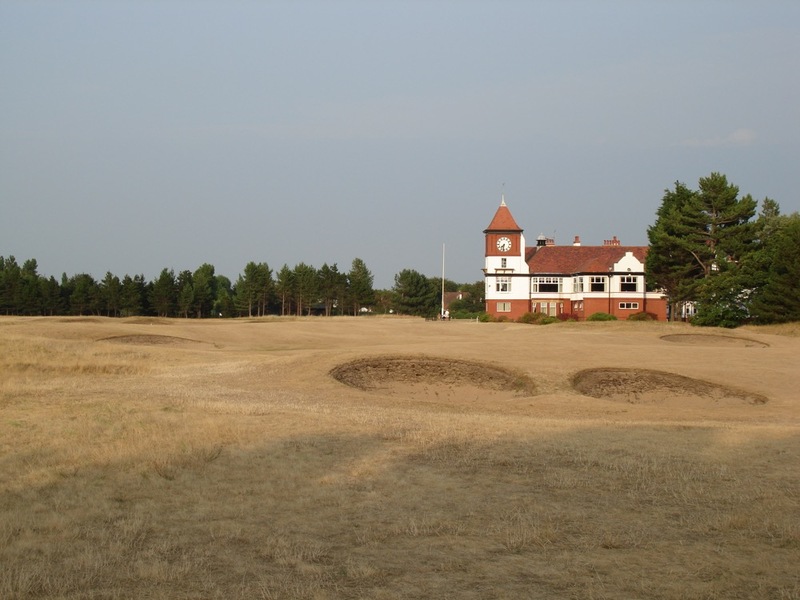 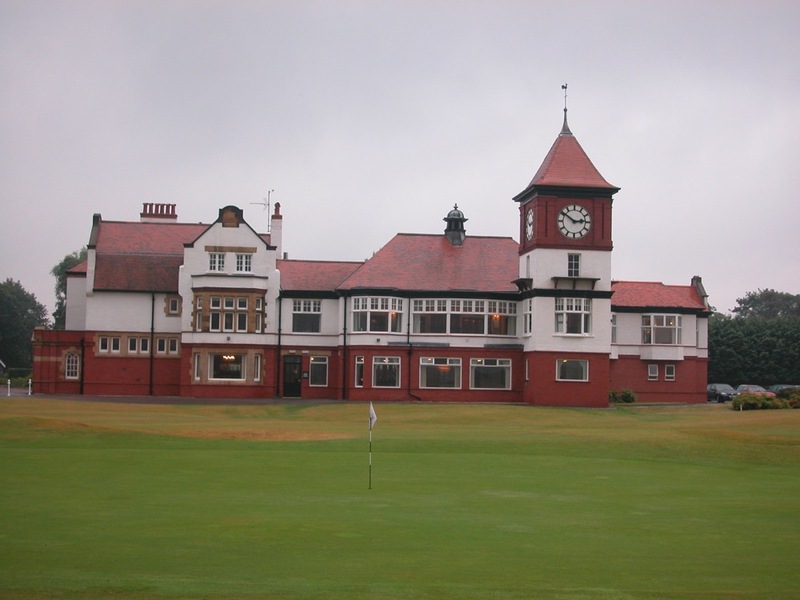 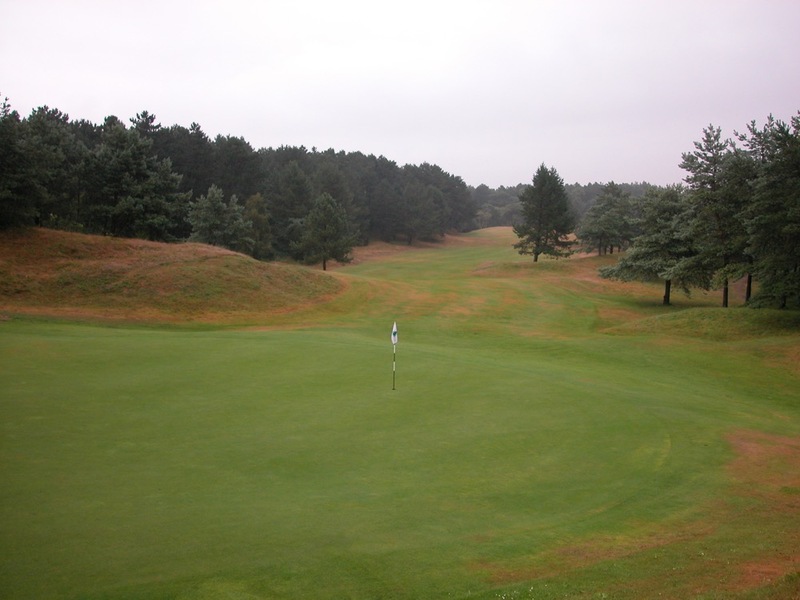 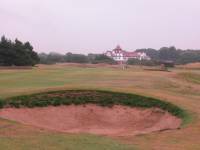 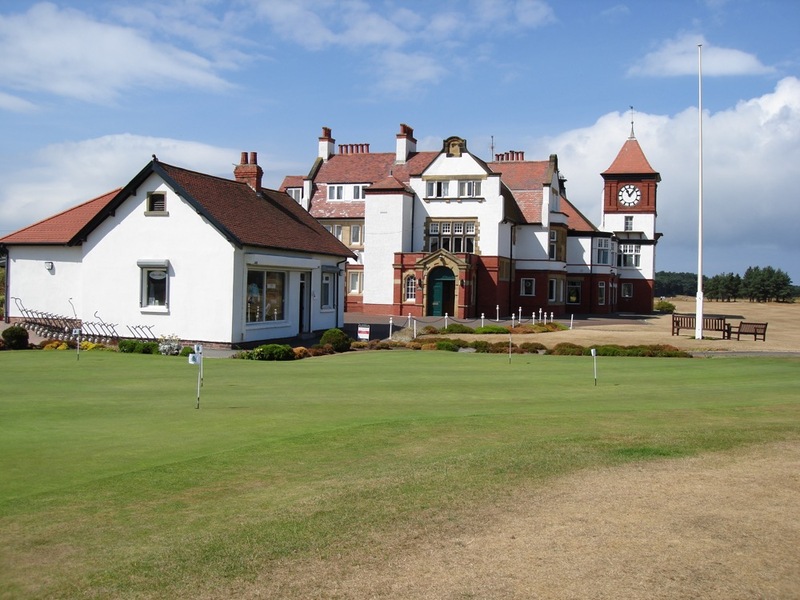 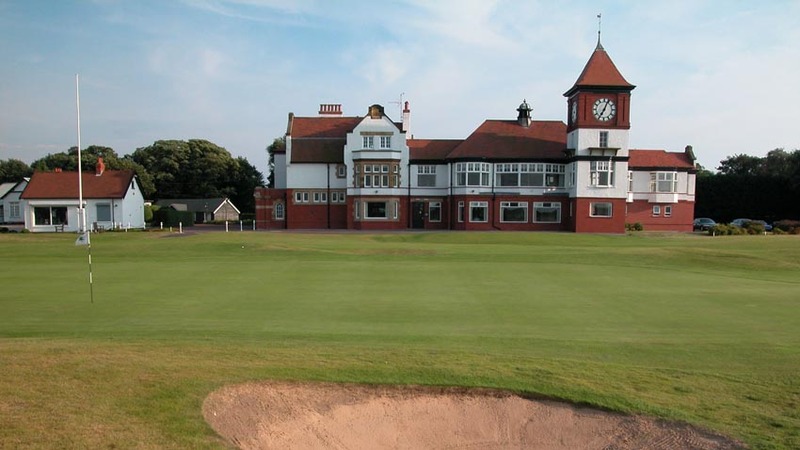 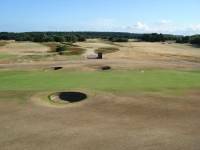 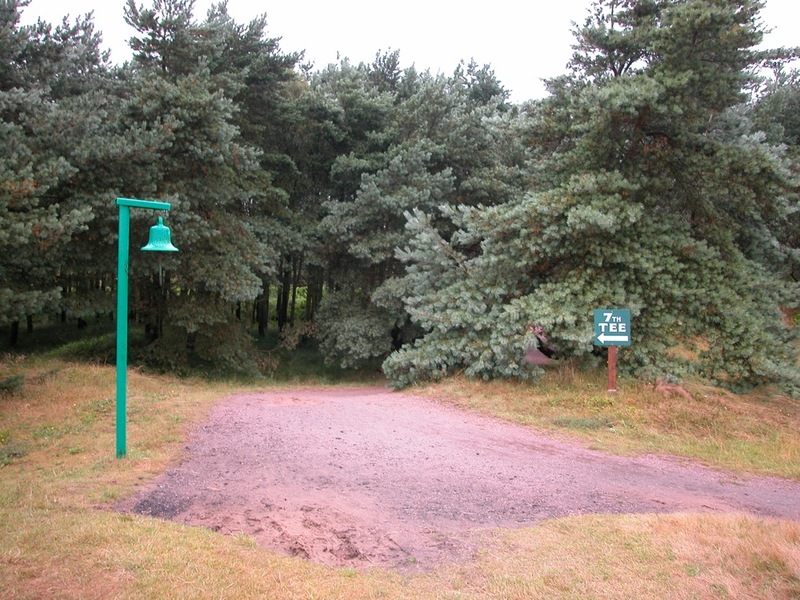 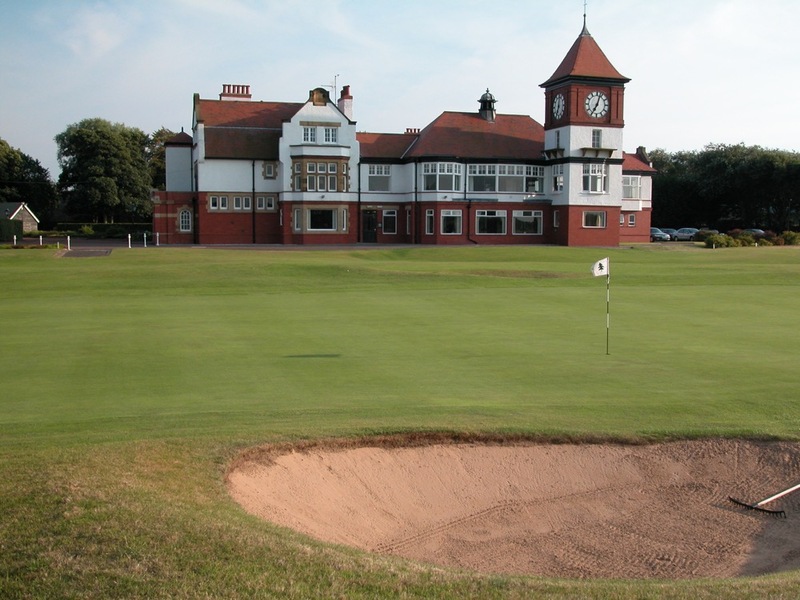 The perimeter of the property is the famous, men-only Formby Golf Club, working counter-clockwise on the exterior of the links, while the interior is home to the Formby Ladies’ Golf Club, itself a surprisingly challenging track. 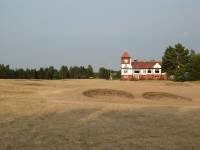 They share the property and the parking lot, but little else, with the ladies having their own separate clubhouse as well as their own links. 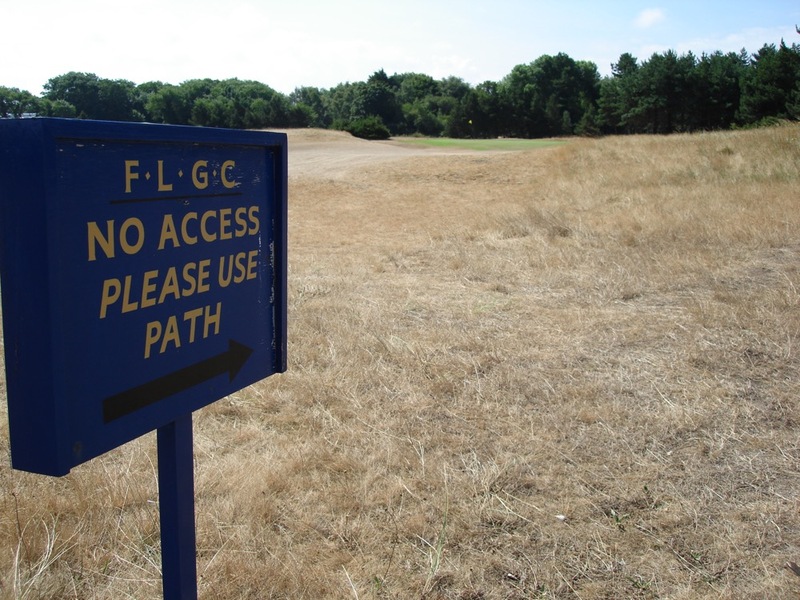 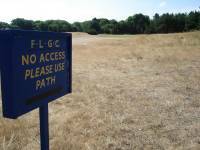 Be careful when you play, because at Formby Golf Club it is easy to get lost and end up on the Formby Ladies’ Golf Club links. 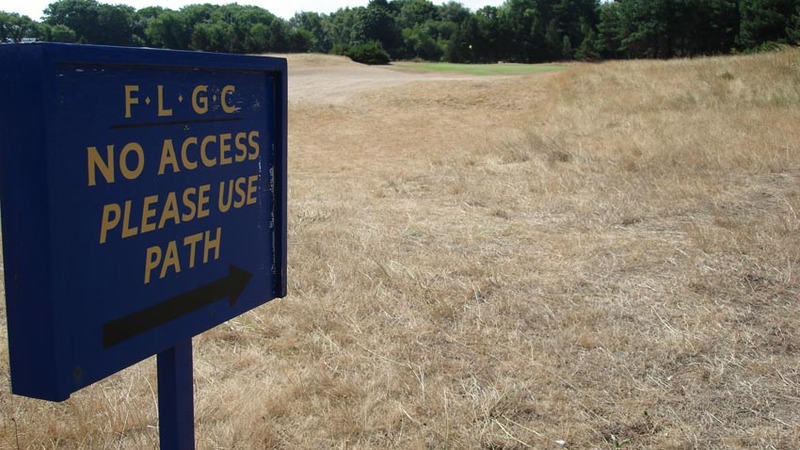 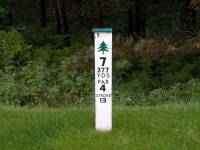 If so, they will quickly be after you to collect their own green fee! 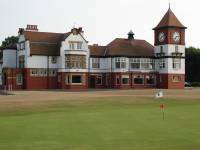 But Formby Ladies’ Golf Club is worthy of that green fee. 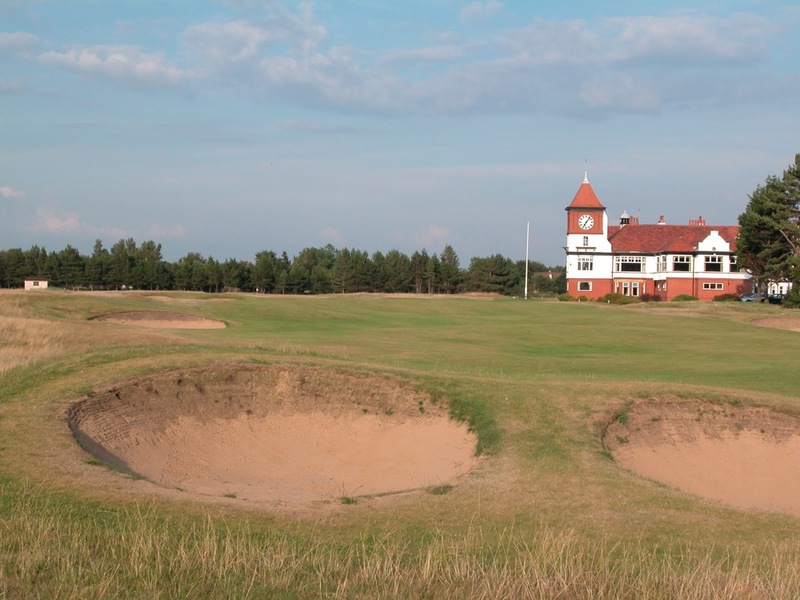 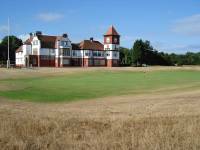 It would be great fun to play both Formby Golf Club and Formby Ladies’ Golf Club on your England golf tour!